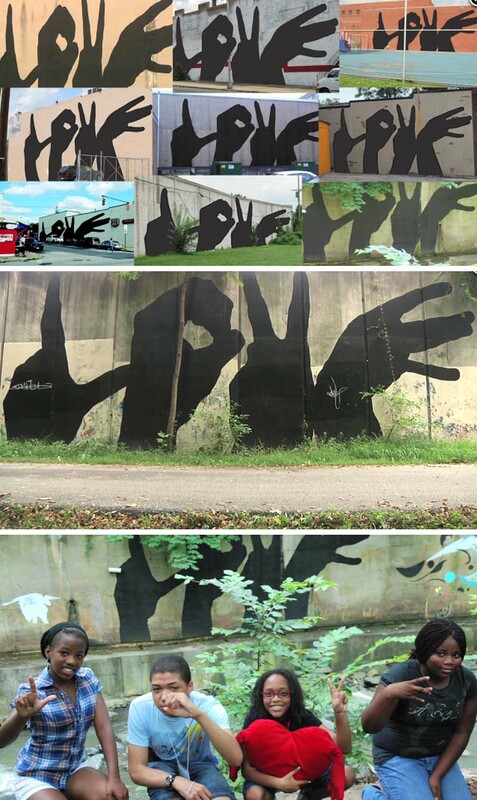 Seems fitting to post about a love mural on Valentine’s Day, no? 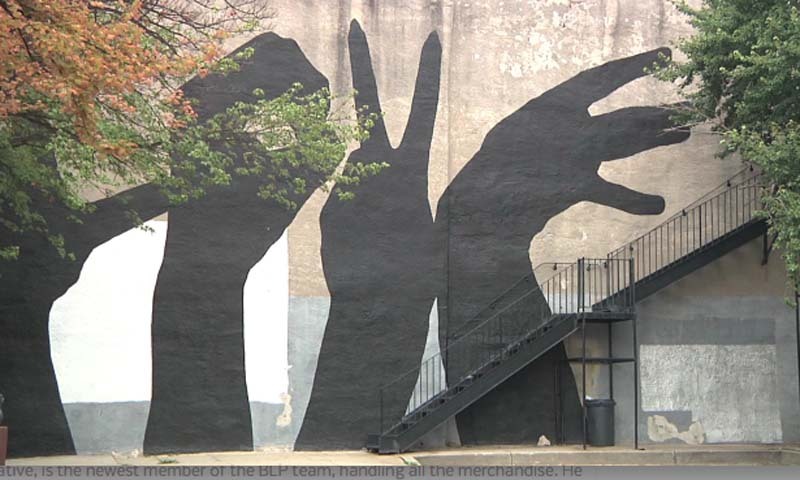 The Baltimore Love Project began a few years ago when local artist Michael Owen developed a design of four hands spelling out the word love. 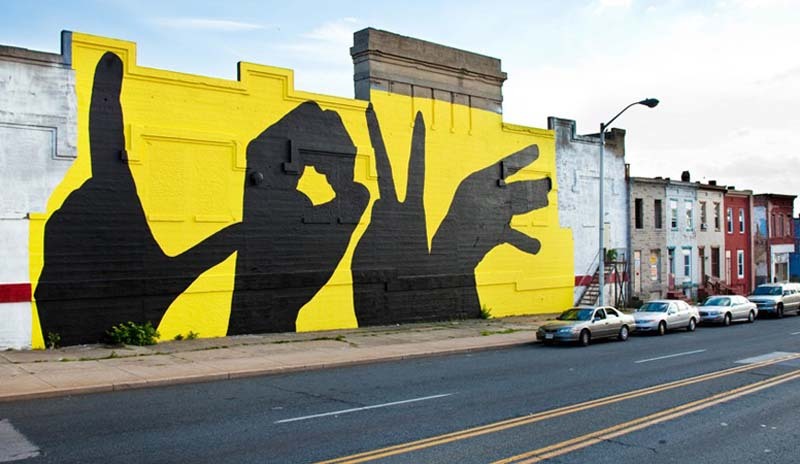 Since then the image has been painted on several walls with a total of 20 scheduled across Baltimore City; the idea being a way of expressing love and connecting people and communities all around the urban center. The community seems to have lovingly embraced the project with an impressive level of enthusiasm including a couple taking their wedding photos in front of one of the murals. You can see a time lapse video of one of the murals in progress below, and there’s a 5-minute documentary on the project over here.